Our main focus in our Two's Class is socialization. 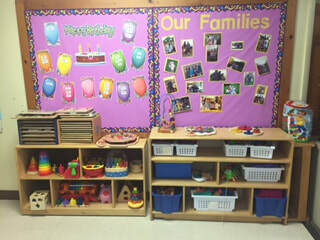 Our classroom is set up in a way that supports this goal and encourages cooperative play between the children. 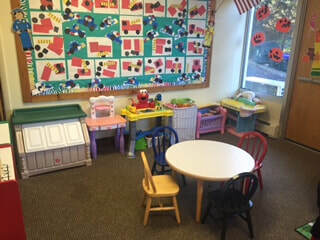 Each center is set up so that multiple children can play and interact in the same area at the same time. 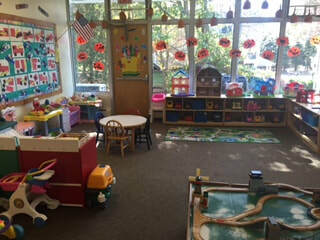 We strengthen our fine motor skills in our puzzles and manipulatives center. We encourage creative play in our kitchen and dramatic play centers as well as in our dollhouse/farm/transportation center. Our art and sensory centers give the children hands on experiences with different types of materials.